A new beer shop & tasting room has opened on Manhattan's Upper East Side, and it truly is a beer lover's paradise. Located on 320 East 86th Street between 2nd & 125 Avenues, City Swiggers sells over 500 craft beers in bottles (and a few cans) and has 14 rotating options on draft. Owners Alan & Pamela Rice allow you tosample the draftbefore filling agrowleror mini-growler and heading on your way. We stopped by last week before a barbeque and sampled a few amazing brews. We left with a growler of Greenport Harbor Supeh Freekeh and mini-growler of Magic Hat Elder Betty (pictured at right). 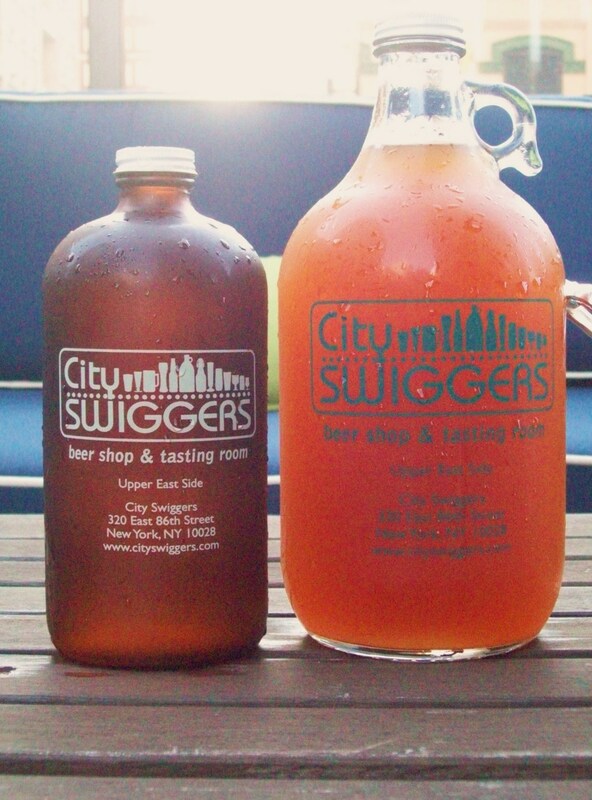 Both were major crowd-pleasers and we're certain City Swiggers will be a regular stop for us this summer, particularly now that we own our own growlers!